Lisée wouldn't backing off Friday from his questioning — first introduced at Thursday's leaders debate — of who's "really pulling the strings" in rival party Québec Solidaire. Parti Québécois Leader Jean-François Lisée was not backing off Friday from his questioning — first introduced at Thursday's leaders debate — of who's "really pulling the strings" in rival party Québec Solidaire. "I want clarity. I want transparency. I want authenticity," Lisée said at a news conference in Montreal Friday. Lisée was pelted with questions from reporters about why, after mostly targeting the CAQ and the Liberals during the campaign so far, he has suddenly turned his guns on Québec Solidaire and its leadership structure. "For me, it was about how to stop the free ride of Québec Solidaire, so I chose that approach. I think it's the right one, and I'm glad I did," Lisée said. "The mere fact that nobody asks the question — who is the leader of Quebec Solidaire? Why don't we know him? Why don't we see him? Why doesn't he give interviews? — is a reflection of the free ride." Québec Solidaire co-spokesperson Gabriel Nadeau-Dubois said he was surprised by Lisée's sudden interest in the inner workings of the party. "Honestly, my first reaction when I heard that was like — what is happening with Jean-François Lisée? I mean, what did he eat for dinner last night?" he said. 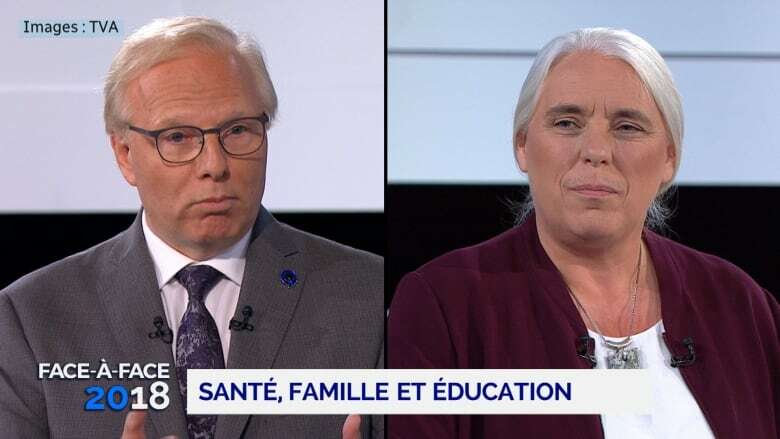 Lisée launched his surprise salvo during a segment while debating with the other Quebec Solidaire co-spokesperson, Manon Massé, about the shortage of family doctors. "I'm being asked not to ask questions that are too hard of Manon Massé," Lisée said. "But I have a supplementary question to ask: This is a leaders debate.… If you aren't the leader of Québec Solidaire, then who is and why isn't he here at the leaders debate?" In a scrum immediately after the debate, many reporters wondered what Lisée was talking about. "Québec Solidaire is now an important player in this campaign, and the co-spokespeople, Manon Massé and Gabriel Nadeau-Dubois are terrific. But they're spokespeople. Who is the boss of these spokespeople? Who are they speaking for?" Lisée said. 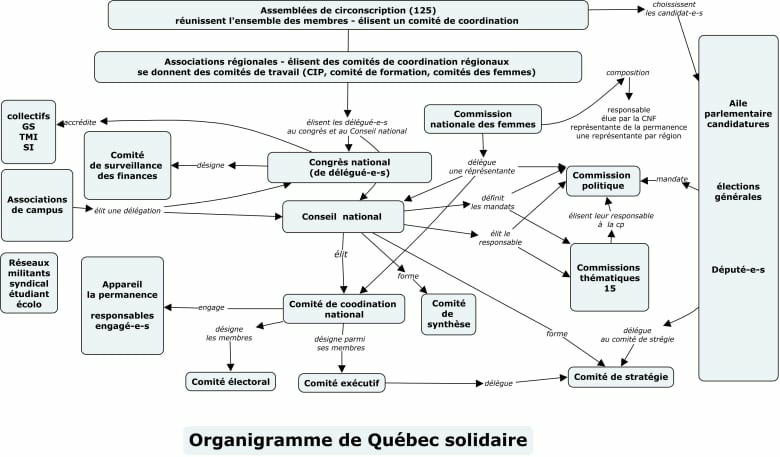 Québec Solidaire does indeed have an unconventional leadership structure. Since its inception in 2006, the party has always designated two "co-spokespeople" — one man and one woman. Those roles are now filled by Massé and Nadeau-Dubois. They are the most high-profile members of the party and both are travelling the province campaigning. The party voted before the campaign to select Massé as the official candidate for premier, so she participated in the debates and will serve as premier if Québec Solidaire forms government. Nadeau-Dubois would be named deputy premier. 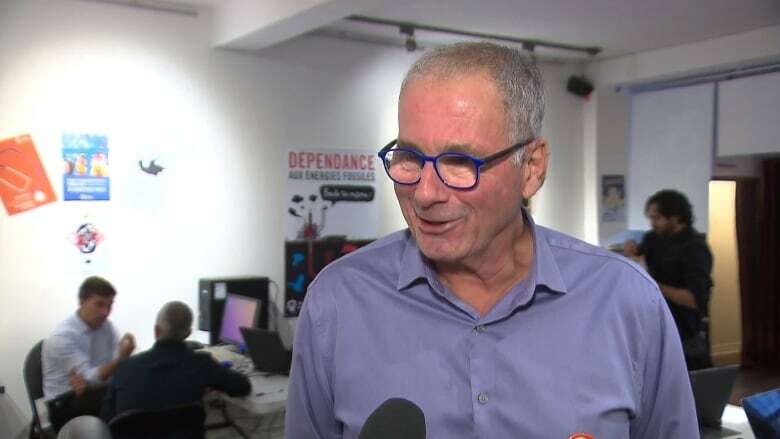 The party says Massé would be chief executive and head of state, while Nadeau-Dubois would be in charge of parliamentary proceedings and setting the legislative agenda. But Lisée is right: neither Massé nor Nadeau-Dubois is the official leader of the party. That role is filled by a largely unknown former candidate who is also the party's secretary-general: Gaétan Châteauneuf. Châteauneuf emerged from the shadows Friday to speak to Radio-Canada. He said he was dumbfounded when he found himself being alluded to during the leaders debate. "I was sitting in my living room at my house, and I found it funny, comical, this situation," Châteauneuf said. Châteauneuf said he's a retired volunteer who is mostly in charge of administration and paperwork for the party. But he acknowledged he is indeed the titular leader of the party. "Election law obliges us to have someone designated as leader for the all the documentation and administration," he said. 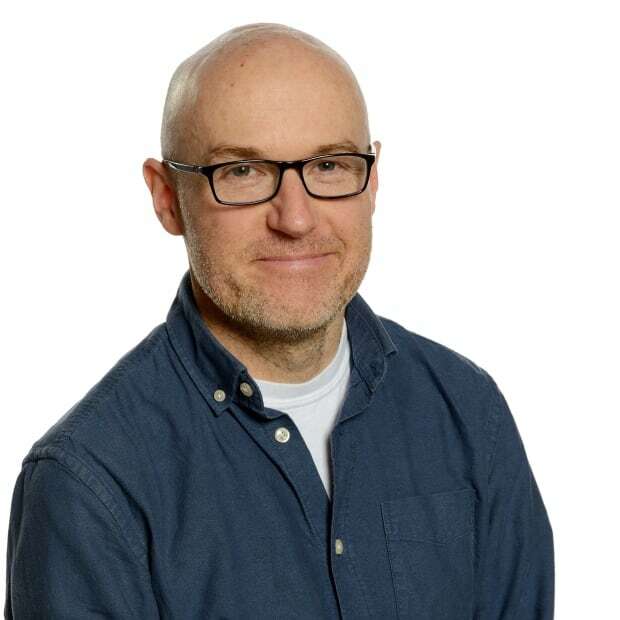 But he said he has no ambitions beyond that, and decision-making is left entirely to the party membership, with Nadeau-Dubois and Massé delivering the message. "I think the vast majority of Quebecers understand that very simple system. I don't understand why, in the middle of a debate about health care, Jean-François Lisée finds it crucially important to talk about that," Nadeau-Dubois said. He speculated it's because the PQ is bleeding support to Québec Solidaire.